Da Club is totally addicting arcade game fun.Each hired and upgrades increase reputation. Visitors number based on reputation. Hired staff is cheap but its duration is very short. Items have more duration each upgrade. Punk may come daily, and will decrease visitors and incomes. You can rid him by hiring a bouncer. Ladies Night need no money, but need some reputation and visitor. You can loan money if you need. It'll pay debt automatically every day. You can't have another loan until all debt cleared. If your money is minus you'll game over.Just Click Left Mouse Button for game operation. Come to www.bestgames.pk to enjoy the Zombie Fight Club. In this fighting game, you will have the chance to make your own zombie by choosing different equipment. After you are ready, click To Battle to begin the fight. You can choose attack, super attack, defense and other actions from the list. The bars over you and your opponent’s head symbolize your health points. After each fight, you can upgrade your zombie. 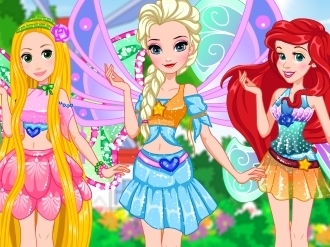 Have the most amazing time joining the beautiful Disney princesses on a new journey in Winx Club land in this dress up game called Disney Princess Winx Club! 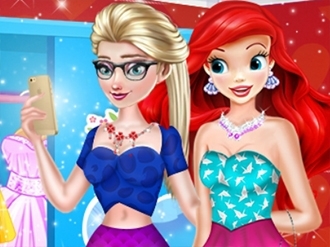 Elsa and Ariel are ready for a night out. The girls want to party all night and have as much fun as possible. Let us help them get ready and dress them up in some cute and colorful clothes. Make sure you add some accessories to their outfits. Let the party begin! Being a princess is not as fun as it seems. And even their royal highness wants some holidays from time to time. 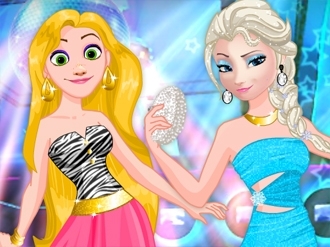 Elsa, the Frozen Queen, and her BFF, long-haired princess Rapunzel, decided to have some fun and get to the disco. And now they need your help with choosing the perfect fashion outfits. It’s not that simple to get in the club - the security guard stands over the club’s doors and checks the dress code. So only fashion divas can pass his test. Choose the most stylish and sparkle outfits for the young beauties and make sure they looks fashionable from head to toes! Maybe today they will meet two charming princes that will stole their hearts and fell in love with their beauty and sense of style. Have a great time!